Every business owner knows that customer retention is key to long-term success. Studies have consistently shown that acquiring a new customer is much more expensive than keeping one. This infographic highlights that notion, illustrating that the cost of acquiring a new customer is 5x higher than retaining an existing one. Not to mention, loyal customers spend 67% more than new guests! Of course, you want to retain existing customers, build that loyalty, and keep them interested in coming back to dine with you. However, figuring out what makes some customers leave—and what inspires some to remain loyal—can sometimes be a guessing game. While the specifics may vary, the root cause is usually the same. According to a recent study by RightNow, 82% of US consumers stopped doing business with a company due to poor customer service. This shouldn’t come as a surprise. Poor customer service is a huge deterrent for someone looking for a positive dining experience. And the data supports this fact, as businesses are losing $75 billion per year due to negative customer service! Sure, food and ambiance play a factor in a guest’s dining experience. But, customer service is just as, if not more, important than these other elements. It’s easy to underestimate the power of a friendly face, but your staff’s behavior has a huge impact on customer retention. 73% of people who stop patronizing a business leave because of a rude employee. And after just one negative experience, 51% of customers will never do business with that company again. You don’t want to lose a customer forever just because of a staff member’s less than impressive behavior. Although it can be difficult to remain upbeat with challenging customers, resorting to snarky behavior will damage both your relationship with individual patrons and your business’s overall reputation. Make sure you’re always training your staff on proper etiquette and paying attention to how they act when serving customers. If a customer is a regular, go out of your way to remember their name and favorite dishes. Guests will really appreciate that you know them on a first-name basis and pay attention to them when they dine with you. Of course, you should always encourage positive attitudes, friendly faces, and the notion that the customer is always right. Being friendly isn’t the only thing your staff should be. They should be knowledgeable about your restaurant and your menu offerings. If a guest is unsure about what meal to choose, waiters should weigh in, giving an honest opinion based on their knowledge of the menu items, ingredients, and flavor. This shows that your staff is invested in the restaurant and in helping your customers. You should also consider customer experience online. Engage with guests on social media and respond to reviews to keep the conversation going both before and after a customer visits you. Our Review Monitoring and Social Media tools can help you build these relationships with your guests online. Bonus Tip: Keeping your staff happy can help inspire them to treat customers well. Looking for ways to boost your company culture? Read this blog. What better way to keep customers loyal than with a loyalty program? Incentivizing patrons is a great way to keep them engaged, excited, and inspired to return to your restaurant again. There are many benefits to a loyalty program, from customers racking up a higher bill in order to earn more points, to getting repeat business with guests joining you for their birthdays and other events offering promotions. You can get creative with what you want to offer with your unique loyalty program; it could include branded swag items or coupons and deals. Test out different offerings to see what resonates best with your customer base. Don’t know where to start? There are plenty of tools out there for you that will do the majority of the work for you. Upserve is a restaurant point of sale system that also offers a loyalty feature. Instead of an app or a card, Upserve uses a guest’s credit card to keep track of their earnings, which makes it easy for both you and the customer. Belly is a loyalty app that functions on an iPad in your store. Guests can sign up for your program and log in to earn rewards. Plus, if someone hasn’t visited in a while, Belly will send them an email reminder to encourage them to stop in. LevelUp is a mobile payment tool offering customized loyalty experiences. Customers can order food through the LevelUp app and the technology even allows you to notifications to customers if it senses that they’re near your restaurant. Loyalty programs don’t just have to include freebies and discounts. You can create memorable experiences for guests to make them feel exclusive and appreciated. A cocktail hour for diners with a certain amount of points or holiday gathering for all loyalty program members can help differentiate you from your competition. 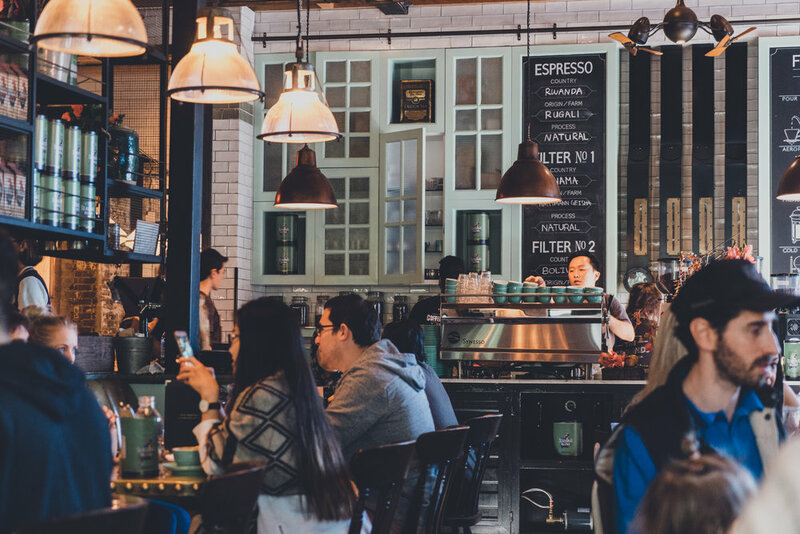 Do your research when deciding on the right loyalty program for your restaurant, get creative, and start retaining more guests. If consumers have heard wonderful things about your business, they’re more likely to remain a customer. Conversely, if they’ve heard bad things about your restaurant, they may hesitate to visit you again. Maintaining a good reputation can be a lot of work, but it’s work that needs to be done in order to keep customers’ respect and loyalty. How do you maintain a great reputation? Well, it all starts with the customer experience. And it extends to your online presence. If someone has a bad time at your restaurant, they may go online and post a scathing review. This will influence other people’s dining decisions. And it’s the prime opportunity to make amends. As we’ve mentioned before, always respond to reviews, positive or negative, to show you care. As mentioned above, be interactive whenever possible, even when the plates are cleared. Respond to social media comments, post user-generated content, and create a personality for your business. You’ll become easily recognizable to guests. Keep your restaurant top-of-mind by sending email newsletters and other campaigns to encourage guests to come dine with you. Make them aware of upcoming events and specials, and keep them in-the-know about what’s going on. If you make them feel more like a friend than a customer, they’ll notice. When it comes to customer retention, great customer service is essential. Make sure you and your staff are making the most of everyday opportunities to go above and beyond for your customers. Get creative by incentivizing guests to inspire another visit. You’ll get the best kind of thanks for your retention efforts — happy clients and repeat business.